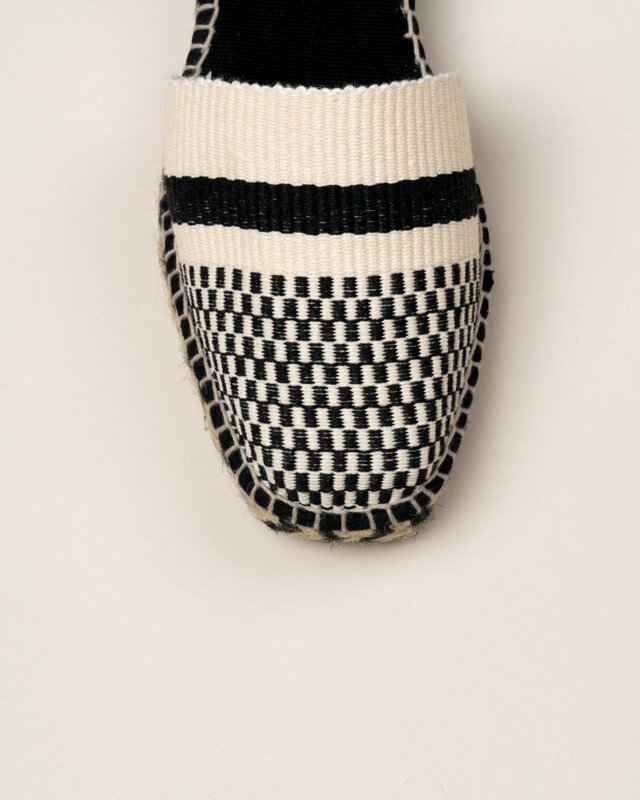 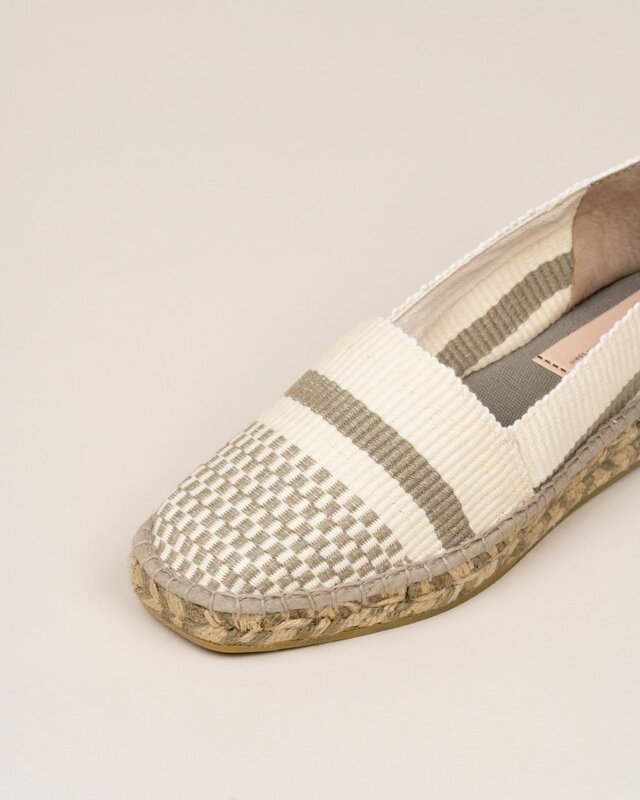 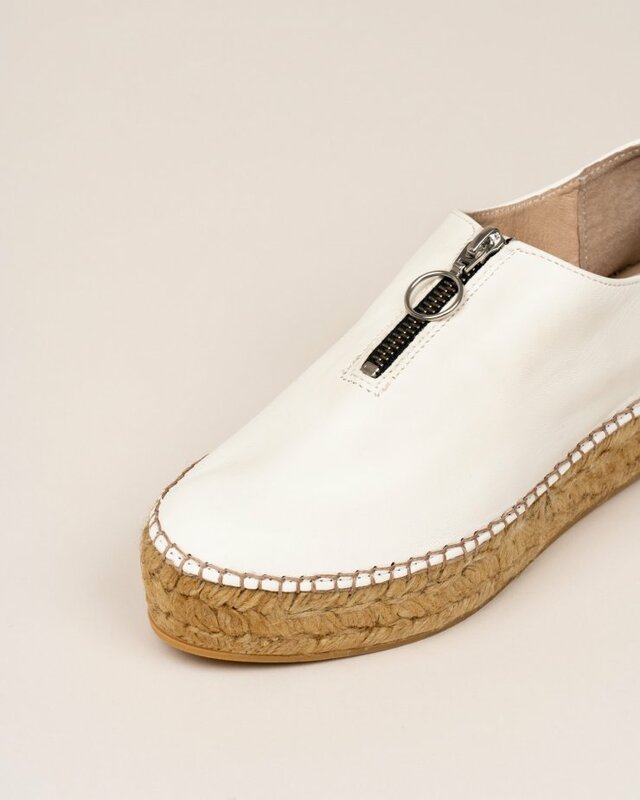 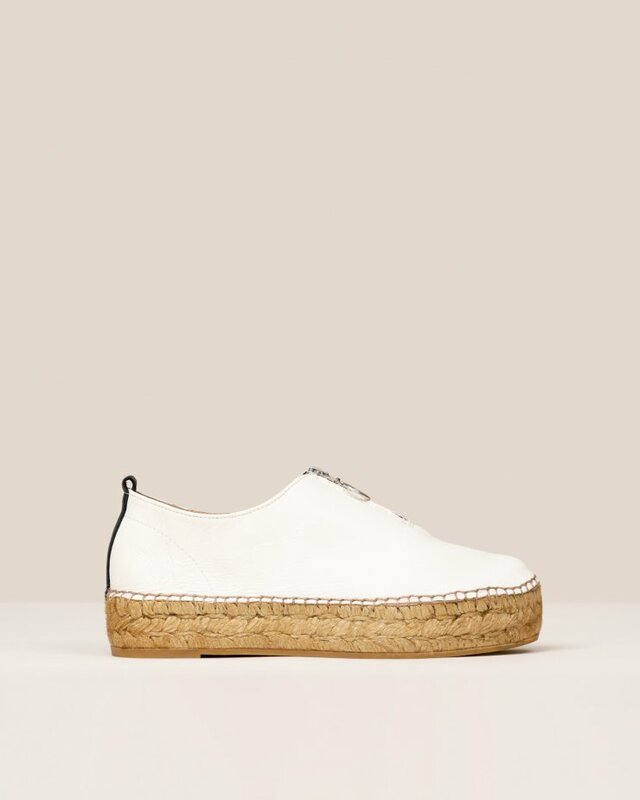 Closed Textile espadrilles. 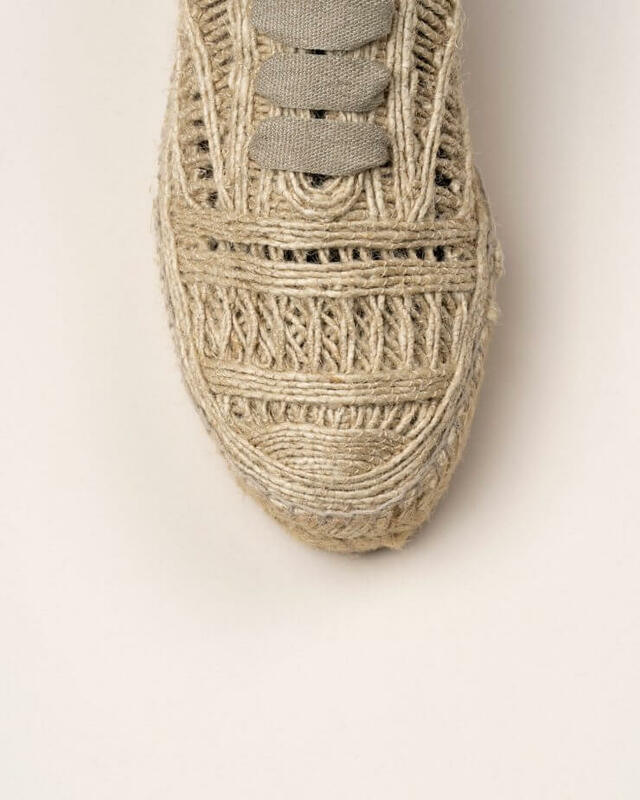 Grey and cream rustic Textile. 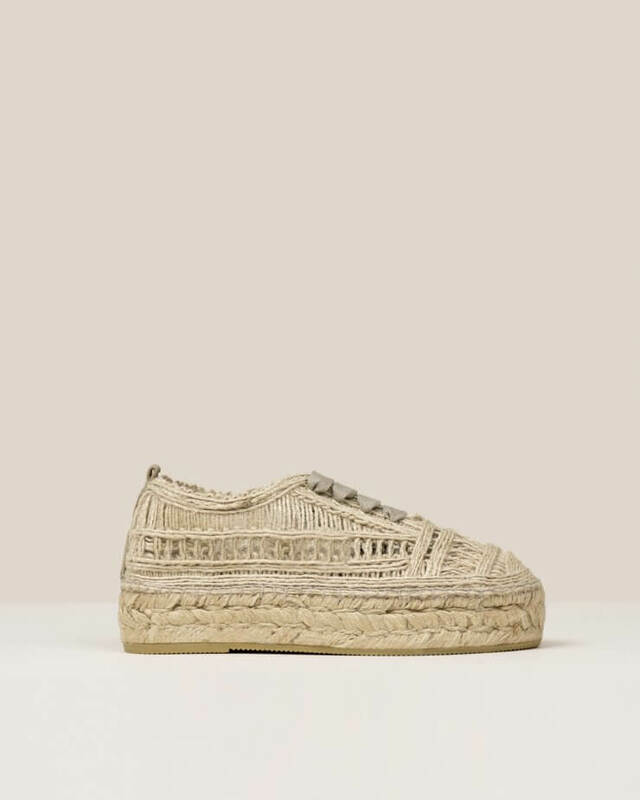 Multi-coloured flat jute wedge.